By his own admission, Brad Pitt has always been a man of strong opinions. 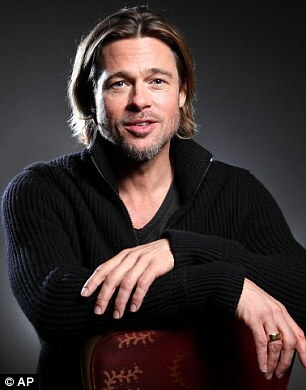 Given his position as an actor in Hollywood, it is the content of those opinions that may come as a surprise – be it in blaming the 2008 recession on rampant greed, in support of personal firearms ownership, violence in movies, there are a variety of issues Pitt has fearlessly plunged into and countered popular opinion. Violence in films is a subject Hollywood would just as soon avoid, but not Pitt. 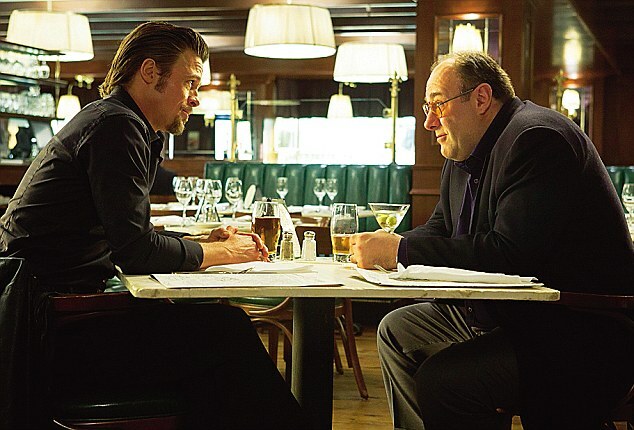 In his 2012 film Killing Them Softly, which he also produced, Pitt received a lot of pushback for the very cool but very violent thriller. Pitt provided a ready answer stating – “It’s a violent world we live in. ‘I don’t agree with trying to hide that or cover it up.” He plays Jackie Cogan, a hitman who prefers to conduct business at a distance (‘not close enough for feelings’) to avoid hearing victims beg for their lives and is hired to investigate the robbery of a Mob-protected poker game. As complications occur, work is subcontracted to the less-than-competent Mickey, played by The Sopranos’ James Gandolfini, until a climactic bloodbath just as Barack Obama secures election victory. 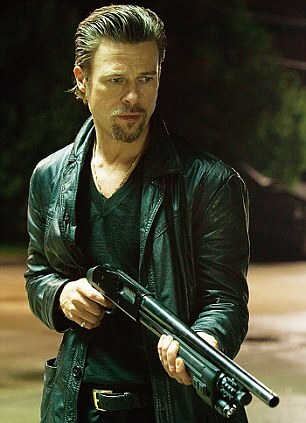 ‘Violence, murder, being killed are unfortunate outcomes of the business of crimes,’ says Pitt. Then just a few weeks after the film’s release, James Holmes shot and killed 12 people at a screening of the Batman film The Dark Knight Rises in Colorado. He also injured an additional 58 more. With Holmes madness and hatred on full display for the world to see, the battle raged about to what extent screen violence was to blame, along with the usual cries for gun control. Pitt also states he will not and has not advocated for any change in U.S. gun laws or for any measure of gun control. He states if anything, they should be laxer. Pitt states – “America is a country founded on guns. It’s in our DNA. It’s very strange but I feel better having a gun. I really do. I don’t feel safe, I don’t feel the house is completely safe if I don’t have one hidden somewhere. That’s my thinking, right or wrong. I got my first BB gun (a type of air gun) when I was in nursery school. I got my first shotgun by first grade (aged six), I had shot a handgun by third grade (aged eight) and I grew up in a pretty sane environment. I really feel like I’ve hit the lottery. I was in the UK when the shootings happened and I did hear the discussion about gun control start again, and as far as I know, it petered out as it always does. Pitt is now halfway through his fifth decade with a reputation as a film producer that rivals his finest acting performances. Unlike the young actor of the Nineties – too pretty and too famous for his own good, “sitting on the couch, holding a joint, hiding out” – Pitt is now firmly in the driving seat, an unconventional Hollywood power player. There is no mid-life crisis looming, despite the streaks of silver now running through his goatee. A father of six children with now ex-wife Angelina Jolie – Maddox, Zahara Marley, Shiloh, Pax, and biological twins, Knox and Vivienne, Pitt states he spends a lot of time thinking about how he is raising his children, just as any good parent does. “I spend a lot of time thinking about how I’m raising them – what do I want to impart to them, the opportunities I need to give them – that takes up a lot of my day. I think living in different places is the best education we’ve been able to give the kids. There are certain confinements that come with our lives but that side is the positive and it certainly makes up for it,” Pitt states. It Has Officially Been Confirmed About Sarah Huckabee Sanders – Congrats!